The Hispanic vote is only influential in a few states: California, New Mexico, or Nevada to name a few. They tend to congregate in large numbers in a small number of states. The Black vote is wide and deep, especially in the South and Northeast. Hispanics are approximately 16 percent of the nation’s population, but only 10 percent of eligible voters. Even worse, only 7 percent vote. The Hispanic population of eligible voter is smaller than any other group (voting age population or VAP). The VAP for Whites is more than 77 percent, for Blacks 67 percent, and for Asians 52 percent. According to the nonpartisan research group, Center for Responsive Politics, Democrats are expected to spend upwards of $ 1.76 billion for this year’s elections; yet they only allocate $ 1 million for Black media in the last 30 days of the campaign. You do the math. This shows how little value they place on the Black vote – until it’s too late. These ads are being run on radio shows hosted by Tom Joyner, D.L. Hughley, Ricky Smiley, Al Sharpton, and Joe Madison. 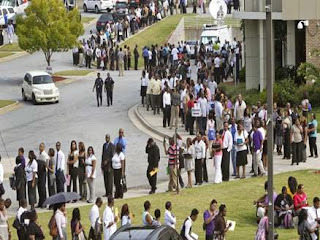 There are 24 months in an elections cycle, but Democrats only spend money with these Blacks for 30 days of that cycle. Last year Former CBS News investigative reporter Sharyl Attkisson, who is known for incredible work on Operation Fast and Furious, Benghazi and other White House scandals, noticed her computers at work and at home were acting strange. She suspected someone had hacked into her computer, specifically into a desktop in her home due to the machine turning on and off by itself at all hours of the night. An initial review of the hard drive revealed that her computer had in fact been compromised, but it wasn't known at the time who did it. The intruder into her system didn't take any financial information and it was clear they were looking for something else. The news of Attkisson's computer problems came shortly after we found out the phones and emails of Fox News reporters James Rosen (and his parents) and William LaJeunesse were monitored. Rosen's movements were also monitored by government officials and he was named as a criminal co-conspirator in an affidavit from the Department of Justice to a judge. All three reporters, LaJeunesse, Rosen and Attkisson work on stories typically unfavorable to the administration (and all three have also scrutinized former administrations, including those headed by a Republican). So what was the motive behind the hack? Attkisson believes the feds were trying to go after herself and her sources with legal charges. Keep in mind, President Obama has used the Espionage Act against more sources providing information to reporters, and ultimately the American public, than any other President in history. The fact that this administration gets away with these types of intrusions is incredibly alarming for all Americans, but particularly for reporters who shine a light on corruption. This news is incredibly unnerving for the pursuit of truth, in keeping trusted sources talking and in protecting the First Amendment. If Republicans win control of both the House and Senate, “the interests of billionaires will come before the needs of the middle class,” President Barack Obama said at a $32,500-a-plate fundraiser at the $16 million Greenwich, Connecticut, estate of a billionaire named (I’m not making this up) Rich Richman. Supplying bupkes for most Americans, the $787 billion stimulus bill produced bonanzas for the politically connected. A disaster for consumers and taxpayers, Obamacare fattened the bottom line of insurance companies. Billionaire Tom Steyer figures to profit from Mr. Obama’s foot-dragging on the Keystone XL pipeline. The top group of fundraisers for Mr. Obama raised $457,834 for his 2008 campaign – and were approved for federal grants and loans of $11.4 billion, according to the Government Accountability Institute. Selling access to the federal treasury has been a great way for Democrats to raise campaign funds. Since 1989, according to an analysis by Gateway Pundit, big donors have provided $416 million more in direct contributions to Democrats than Republicans. Seven of the 10 wealthiest counties voted to re-elect the president. Democrats represent eight of the 10 wealthiest congressional districts. There are more Democrats than Republicans among the 268 millionaires in Congress. There were 9.63 million households last year with a net worth of $1 million or more, up from 6.7 million in 2008. The wealthiest 1 percent received 22.46 percent of the national income in 2012, up from 18.12 percent in 2009, calculated economist Emmanuel Saez. The income of the bottom 99 percent shrank 0.4 percent, Mr. Saez said. Adjusted for inflation, median household income was 8 percent lower in 2013 than before the Great Recession began. The average compensation of federal employees last year was 74 percent higher than for workers in the private sector. Few would begrudge government workers higher pay and benefits if they earn it. But from the Centers for Disease Control to the Veterans Administration, incompetence, neglect and corruption seem more the rule than the exception. Little wonder, when the chief consequences for malfeasance are a lengthy paid vacation or retirement with generous benefits. By shielding bureaucrats from accountability, Democrats have made “public servant” an oxymoron. The middle class is shrinking because policies designed to benefit those who feed at the public trough clobber economic growth. The chief difference between the New Oligarchs and the robber barons of yesteryear is that the robber barons had an interest in a vibrant middle class, Mr. Kotkin says in his new book, “The New Class Conflict.” “Gentry liberals” don’t. In the past, Democrats “recognized broad-based economic growth was a necessary precursor to upward mobility and social justice,” Mr. Kotkin wrote. Now they adopt policies that restrict growth. Truman Democrats stood up for working men and women. Obama Democrats provide the oligarchs with cheaper servants at the expense of working men and women. The rhetoric hasn’t changed much, but the gap between Harry Truman’s Fair Deal and Barack Obama’s Raw Deal couldn’t be wider. The man who embodied New York’s bad old days of the 1980s now wields influence as never before—at City Hall and in the White House. 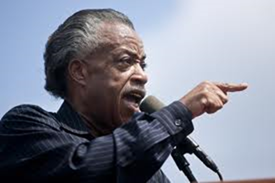 Where to start in evaluating what a “blessing” Al Sharpton has been to New York and America? For those who have forgotten or are too young to recall, here is a brief history of the man now so warmly embraced by the mayor, the governor and the president. There was Mr. Sharpton’s frenzied involvement in the Tawana Brawley case. In 1987 Ms. Brawley, a 15-year-old African-American, concocted a tale of being raped by six white males. The allegation was ultimately revealed as a hoax, but not before Mr. Sharpton had commandeered the racially incendiary story and poured fuel on it by accusing a white county prosecutor of having been among the attackers. The prosecutor, Steven Pagones, won a defamation suit in 1998 against Mr. Sharpton, Ms. Brawley and her lawyers. Mr. Sharpton refused to pay the judgment against him, which was eventually discharged by a group of supporters. In 1991 a Hasidic driver in Brooklyn’s Crown Heights accidentally ran onto a sidewalk and killed a 7-year-old black child named Gavin Cato. Mr. Sharpton led protesters in angry cries of “No justice, no peace,” criticized Jewish diamond merchants in the neighborhood for selling goods from apartheid South Africa, and spoke at a rally where a banner said, “Hitler did not do the job.” During three days of violence following the accident, rioters beat to death an Australian rabbinical student named Yankel Rosenbaum. In 1995 Mr. Sharpton led a protest in Harlem to stop a Jewish landlord—a “white interloper,” in Mr. Sharpton’s words—from evicting a black-operated record shop. One of the protesters would later set fire to the store, killing seven store employees. Mr. Sharpton has never apologized for his involvement in the Brawley hoax. Nor has he taken responsibility for his agitation in Crown Heights. In 2008 the Associated Press reported that Mr. Sharpton and his business entities owed nearly $1.5 million in taxes and penalties, as well as tens of thousands of dollars in fines for unpaid workers' compensation and unemployment insurance. By this year Mr. Sharpton’s tax liabilities had ballooned to $4.7 million, according to the New York Post. He still owes the Federal Election Commission $208,000 for the improper use of campaign money during his 2004 presidential bid. Not relevant, apparently, to Mr. Sharpton’s increasing reach into Democratic circles. Mr. Sharpton believes that New York’s mayor owes him his job—a belief shared, it seems, by Mr. de Blasio himself. Mr. Sharpton pointedly declined to endorse the sole black candidate in the Democratic primary last year. That left the field open for a late-surging Mr. de Blasio, who had run a demagogic campaign against the New York Police Department, denouncing its stop-question-and-frisk policies as racist. Candidate de Blasio also pandered to black voters by prominently featuring his biracial son in campaign ads. “We won the election,” Mr. Sharpton later told CBS New York. Mr. Sharpton was led in to the mayor’s community meeting by his former aide, Ms. Noerdlinger, and seated on Mr. de Blasio’s left, with Police Commissioner William Bratton , serving his second tour as New York’s top law officer, on the mayor’s right. The symbolism was lost on no one, least of all police officers. The next day, a mock NYPD identification card circulated through police headquarters showing Mr. Sharpton as commissioner. Despite Mr. Sharpton’s current mainstream patina, his stock-in-trade has changed little from his Tawana Brawley-Crown Heights days, as the disintegration of his inflammatory narrative about the police shooting in Ferguson, Mo., demonstrates. Apart from rare forays into the rhetoric of personal responsibility, he still peddles the dangerous lie that police officers are the greatest threat facing young black men and that racial discrimination is the main force holding blacks back. In fact, it is other young black men who are responsible for the high homicide risk faced by black teens, and it is proactive policing that has dramatically reduced that risk, saving thousands of young lives in places like New York City. Mr. Sharpton’s longevity as a public figure rests on the enduring power of racial grievance to elevate those politicians who accede to it, while distracting attention from the family and social breakdown afflicting the black community. Mayor de Blasio’s Sharpton predicament is nevertheless a cautionary tale about the risks of getting too close to the Reverend Al. Ms. Mac Donald is the Thomas W. Smith Fellow at the Manhattan Institute. If Mr. Obama was a corporation, his largest shareholders would be: blacks, whites, Latinos and Asians. In capital markets, dividend payouts are distributed according to percentage of ownership, from the highest to the lowest. On this principle, blacks should be the largest recipient of Mr. Obama’s largesse. But in typical Democratic fashion, blacks don’t even get crumbs from the table. The biggest beneficiaries of Mr. Obama’s presidency are: homosexuals (an estimated 2 percent of the population), illegals and whites. I challenge my readers to name one thing Mr. Obama has done “specifically” to benefit the black community — the largest shareholder in “Obama Inc.” If black voters were shareholders in “Obama Inc.,” they could have gone to court and sued for fraud and breach of contract — and prevailed. Key factors behind black crime wave sweeping U.S. Many black Americans are making bad choices from having children out of wedlock and embracing a violent inner-city culture that keep them from reaching their potential, and liberal government policies are encouraging them to make those bad decisions, argues Wall Street Journal editorial board member Jason Riley. 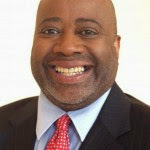 Riley is author of "Please Stop Helping Us: How Liberals Make it Harder for Blacks to Succeed." Instead of encouraging black people to dream big and take responsibility for their actions, he said liberal politicians and civil-rights leaders are more interested in telling them who to blame for their condition. "They want to keep the focus on white behavior, not black behavior," he said. "That's the agenda of the black leadership today, from the NAACP to Al Sharpton to Jesse Jackson: We're not talking about black behavior. All the bad black outcomes we see are a result of white racism. That's their narrative, and they want to stick to it." As policy experts debate the effectiveness of Lyndon Johnson's "War on Poverty," Riley said the path to advancement is the same for black people as it has been for all other demographics: less government assistance and more individual achievement. "Blacks must ultimately help themselves by developing the same habits and behaviors and attitudes that other groups in America had to develop in order to rise here," he said. "To the extent that a government program or policy – however well-intentioned – interferes with that self-development, it does more harm than good." Riley added, "I argue that blacks have been subjected to a lot of policies that aren't doing them any good by interfering with the necessary self-development that needs to take place. For instance, trying to replace a father in the home with a government check is not helpful, but that's what a lot of these welfare policies have attempted to do over the decades." If the pathway to societal advancement is well-established, why are so many in the black community choosing not to take it? "I think the left has done a brilliant job of convincing blacks that government is good for them, and the more government the better. So you get an over-dependence on government among blacks, both in terms of jobs in the federal government, the military, the post office, civil-service jobs or in terms of handouts like food stamps and welfare." According to Riley, this problem is evident in countless areas of society. However, in just two examples, he says the damage done by the liberal approach to black Americans is most evident. Riley believes the first step toward addressing many ills of blacks is to get fathers back in the home. He said study after study shows that problems from criminal behavior to drug use and dropping out of school are greatly worsened when fathers aren't living with their kids and active in their lives. "You name it, there's just a lot of bad things that happen when dads aren't around, and that's what you have as the norm in black communities," he said. "As late as 1960, two in three black kids in this country grew up with a mother and a father in the home. "Today, more than 70 percent do not. You can draw a straight line between that fact and a lot of the problems you see in the inner city, in these communities, where these young black men have no sense of what it means to be black or a man. And it's because there's no one around to teach them that," said Riley, who argued the problem is made worse when people are condemned for urging responsible parenthood. "When Bill Cosby wanted to talk about this a little while back, he got his head handed to him from the left, saying he was elitist, he was talking down to blacks, he was condescending," Riley said. "Even when Obama on occasion and his wife have talked about absent fathers and the bad outcomes associated with that, they get slammed by the black left." Another major issue is crime, Riley explained. He said liberals and the media constantly focus on relations between blacks and the police and issues like racial profiling. However, Riley said the glaring issue is rampant black criminality, but few are interested in addressing it. "Blacks are about 13 percent of the population but are responsible for about half of all murders in this country. Until that changes, you're going to have tensions between the black community and police. Blacks are arrested at numbers two to three times their numbers in the population for all manner of violent crime, all manner of property crime in this country," Riley said. "Until it changes, racial profiling is going to be an issue. 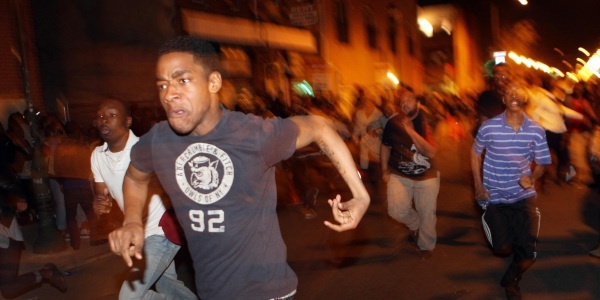 People – black and white – are going to view young black men suspiciously so long as crime rates are what they are." Black mobs routinely terrorize cities across the country, but the media and government are silent. Read the detailed account of rampant racial crime in "White Girl Bleed A Lot: The Return of Racial Violence to America and How the Media Ignore It." While the black vote overwhelmingly leans toward the Democratic Party, Riley asserts many black people are very frustrated with how Democrat leaders and prominent black figures approach key issues like education. "Today you have civil-rights leaders siding with the teachers' unions who, of course, put the interests of the adults in the school system ahead of the interest of the kids," he said. "A disproportionate number of blacks get hurt that way by being stuck in the worst schools, even though polls have shown overwhelmingly for decades that parents, and poor parents in particular, favor school vouchers, favor charter schools and so forth." Riley said reaction to criticism of the conventional liberal approach to the black community comes in two forms. He said the elitists have no tolerance for him or any other black conservatives who dare to to challenge the system. "I like to joke that black conservatives get put on the couch," he said. "You know, Justice (Antonin) Scalia is just wrong as far as the left is concerned, or maybe a little evil. But Justice (Clarence) Thomas is a sell-out, Uncle Tom, self-hating. They put him on the couch and psychoanalyze him." However, he said many black people have responded very favorably to the criticisms and recommendations outlined in his book. "I think a lot of blacks don't self-identify as conservatives, but they agree with a lot of what I'm saying, particularly on the cultural stuff. Church leaders, business owners, parents who struggling with trying to shield their kids from this culture, the rap music and all that, the materialism and the violence, they get what I'm saying," Riley said. "They understand this is something blacks are going to have to take care of on their own." The Obama Administration and his Department of Education just appropriated more than $171 million in federal funding to increase S.T.E.M. professional development at colleges and universities nationwide for the sake of equity for low-income and minority students. But just three historically black colleges and universities (HBCUs) were given this same grant. Fayetteville State University, Hampton University and Prairie View A&M University, respectfully, received over $3 million total in federal support–Hampton’s grant accounted for $3.5 million, while FSU and PVAMU received less than $250,000 each. The appropriation calls for some major questions: Why were the grants, intended to support students of minorities, only given to 3 HBCUs? Were the rest of the 103 HBCUs not qualified for this funding? What was the intention of giving this federal funding to white institutions who serve minorities in a far lesser capacity than HBCUs? 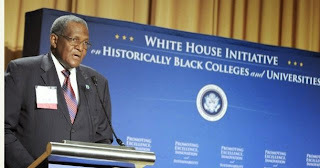 “HBCUs were serving first generation, minority and low-income students when some of these institutions [PWIs] were denying their entry or were not in existence,” said Hampton University President Dr. William Harvey, blasting the federal government for the lack of support of Black colleges. PWIs are in the business of reproducing privilege for the elite while HBCUs are in the business of educating the majority of poor and underserved minorities. If governmental funding for minorities was really important, the government would have given far more to historically black colleges. The Obama Administration has failed to financially support HBCUs with government funding like it does to PWIs–PWI’s never have to worry about the lack of governmental funding. It is evident that HBCUs are not treated fairly, and one of the potent variables of HBCUs success, especially today, is receiving government funding fairly. Furthermore, President Obama and the entire White House Initiative on HBCUs should both think about how to solve this issue. And fast. 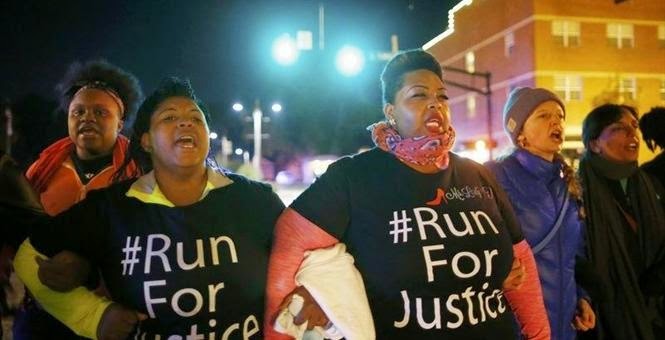 It’s been two months since Michael Brown was shot by police officer Darren Wilson, and while protests continue, some in the African American community are now channeling their anger into political action—and not for the usual party. Many African Americans in Ferguson and across St. Louis County, angered over their leaders’ response to the fatal shooting, say they will be taking their outrage to the ballot box and voting against a Democratic Party that has long been their automatic choice. They are focusing on the St. Louis county executive’s race, which typically centers on matters such as the budget and sanitation but this year has become caught up in the unrest. Earlier this month, a coalition of some 20 African American Democratic leaders called a news conference to endorse the GOP candidate, state Rep. Rick Stream. Armed with voter registration forms, activists like Seals have been roaming black neighborhoods urging people to vote for anyone but the Democrat. The plan is not only to beat back a local candidate they view as particularly unfriendly to black residents, but also to present a show of force to Democratic leaders all the way up to Sen. Claire McCaskill and Gov. Jay Nixon. By switching their allegiance in this election, these African Americans hope to demonstrate that their votes should not be taken for granted. But putting a Republican in the St. Louis county executive’s position will be an uphill battle, to be sure. After all, a member of the GOP has not held the position in 25 years. 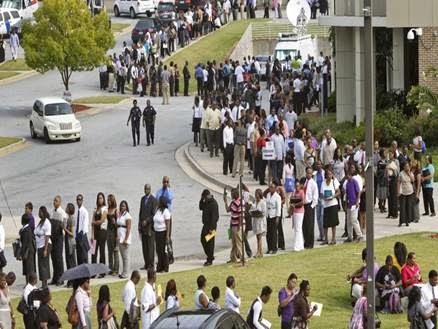 To many people, especially Blacks, Obama’s election as president in 2008 was a dream come true. According to the American Heritage Dictionary of the English Language, “dreams are successions of images, ideas, emotions, and sensations that occur involuntarily in the mind during certain stages of sleep.” Dreams tend to last longer as the night progresses. To our parents and grandparents, having a Black president was a dream long before it was a reality. Who could ever imagine after surviving slavery, Reconstruction, Jim Crow, and the Civil Rights Movement, that America would ever be ready to elect a Black president? During our sleep was the only realm in which we thought this would ever be possible. And certainly not twice. Unfortunately, this dream has turned into a nightmare. In 2008, Obama claimed he had a dream of uniting America; fixing the economy; creating additional jobs; having America become respected globally again. Under Obama, America has become the laughingstock of the world. Syria crossed Obama’s self-imposed “red line,” and Obama gave Syria’s president, Hafez al-Assad a terse lecture as he continued to kill his own citizens with chemical gas. Obama continues to allow Latin leaders to berate him on U.S. soil because of American’s insistence that we enforce our immigration laws like they do in their own countries. Russian and Israeli leaders show public disdain for Obama, with no consequence. Obama and his administration never seem to know about anything that is going on in the very government they control. They claimed to have known nothing about the non-functioning HealthCare.gov website; they knew nothing about Benghazi; they knew nothing about all the problems within the Veterans Administration (VA); they knew nothing about the mess in the Secret Service; they knew nothing about the scandals permeating the Internal Revenue Service (IRS) and they knew nothing about ISIS and all their gruesome beheadings until they read about it in the media. Homosexuals threaten to withhold their support and money from Obama unless he became their “water boy.” He says, “yessem, boss.” They are only 2 percent of the population, but Obama has bent over backwards to accommodate their demands. Illegals have “demanded” U.S. citizenship from Obama, free education, and free healthcare; Obama signs executive orders to accommodate their demands, even though they can’t legally vote for him. Yet , he tells Blacks that he can’t target any programs for them because he doesn’t want Whites to think he is being partial to Blacks. Despite Blacks finally awakening from their slumber, they are now forced to deal with the resulting effects of the nightmare created by Obama. It’s time to judge Obama on his actions; no longer on his rhetoric. Everyone should want our president to be successful, but after six years in the White House, what is the evidence of positive changes with Obama? By almost every measurable indices, Blacks are worse off today than when Obama became president. We started off with a dream that turned into a fantasy that is ending in a nightmare.